Pottington business park is just off the A361 (Braunton road). The work hub is situated approx 2 miles from the town centre. - Nearby, free on-road parking available on Pottington Business Park. - You can park at Co Op Braunton Road Barnstaple all day for £3, just one minute away. There is a bus stop located on the Braunton road just off pottington. 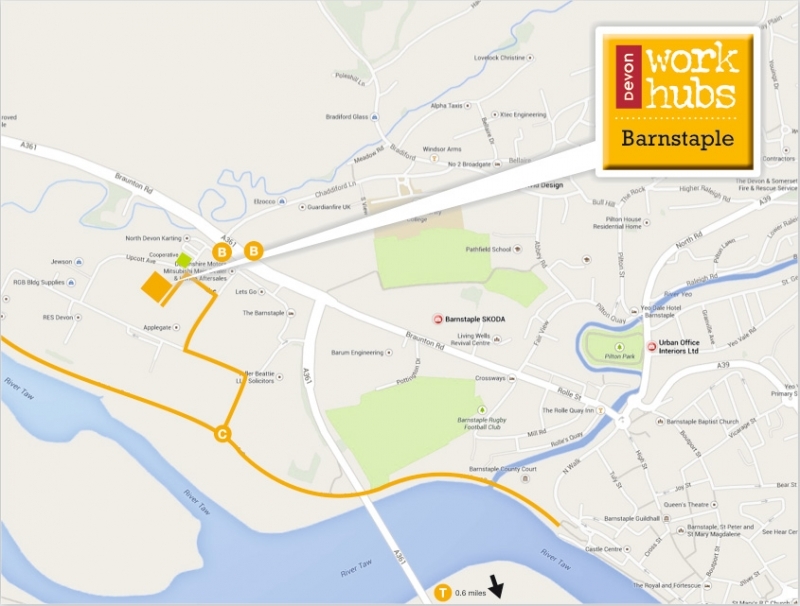 The train station is 1.6miles from Barnstaple work hub. We can only provide one parking space onsite for the event host. We have one designated disabled space available.